I think about time travel a lot. I think a lot of people do. Time travel as a concept, either actively as a mechanic or passively as a setting infects a lot of consumable media. 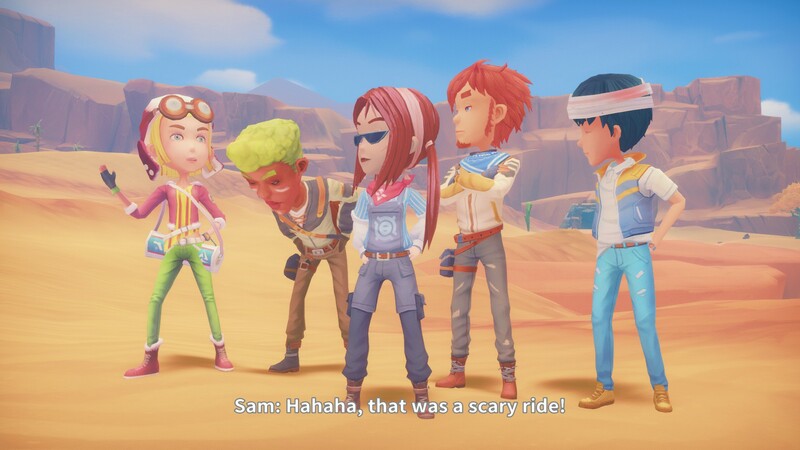 My Time at Portia made me think about both, and for wildly different reasons. Winter is the fourth season. This is important, for time travel purposes. Starting with the latter, the setting of My Time at Portia takes place in some nebulous future after what appears to be some sort of apocalypse has happened. Ruins of mega-structures dot the landscape, rusting and becoming overgrown with wildlife, and most technological advancements have been lost. Very quickly you, as the customizable player character, are introduced to the concept of ‘ruins diving’, wherein you go dig through the dirt accumulated in these partially submerged structures with a pickaxe, gathering raw ores, ancient relic pieces, and data discs. These data discs seem suspiciously like CDs, and taking them to the local research group in town, you’re awarded with new blueprints to build useful machines. Like a furnace. Or a table cutter. Or a blender. As you meander around the town and meet the residents, you find out there’s a split of ideologies among the people — some of them want to study and understand ancient machinery to help better society as it is, while the rest preach about the evils of technology and how it caused the end of the world, and so should be avoided and feared. But those are all background concerns, for the most part. Your character is the Builder; a Jack-of-all carpenter type who inherited a notebook from their father and took over his workshop, and quickly you begin to take requests from the various citizens and the town itself, all in an effort to make the town a nicer, more connected place. In doing so, you quickly find that doing anything takes time. The town wants a lamp, but you need copper bars to make the lamp, so you dig up some copper ore, to smelt it into copper bars, which takes a surprisingly lengthy amount of time, which you can then collect and instantly craft into the item you want, once you have enough materials. Which you then turn in. Assuming you did all this in a single day — maybe you pre-smelted that copper — that’s where you stop for the day, with regards to the primary function of the gameplay loop. You can only take one quest per day, and can only take another quest once you’ve finished, failed, or abandoned the previous quest. My first time through the game, I was still getting a handle on how the game and the mechanics and the timers worked, and only managed to complete some of these. The story moved on without me, eventually. Which was fine. The story moving on. With appropriately dramatic group photograph. But, time travel. I think about time travel a lot. My second playthrough, armed with the foreknowledge of the entire first ‘year’ I played through previously, I began stockpiling resources to a ridiculous degree. I built multiples of every single workbench, just two have then pumping out double the resources to get a handle on the lengthy timers. I pre-built pieces I would need to avoid those timers entirely once the inevitable jobs I knew were coming, would come, and so I could do them all. I wanted to see if, by doing these batches of story missions the day they were presented, I could push the story forward at all, at a faster rate than what I had seen before. It felt like, to me, there was a lot of waiting around. And so I employed “time travel” to deal with that. Spending time to make time. I’m not sure it helped. In my second playthrough, I seem to be exactly on the same pace, story-wise, as I was the first time, despite being able to finish every story mission request instantly. 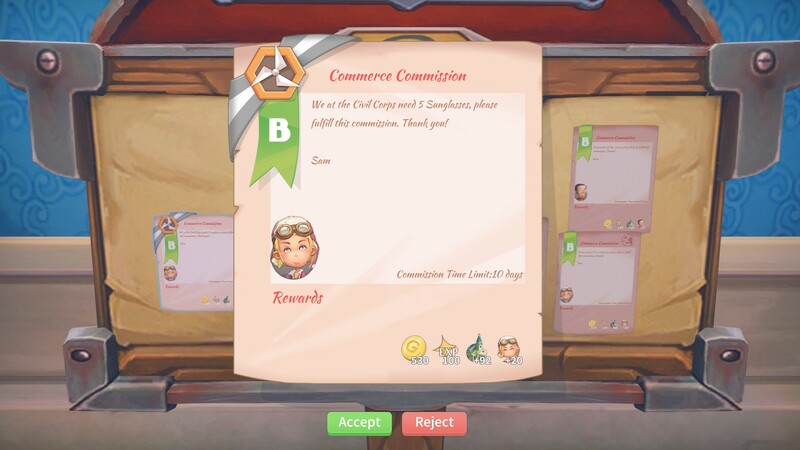 So much so, that another mechanic of the game, a ranking system that pits you against other NPC Builders who live in the town, is in play for me this first year of my second playthrough. Being able to do every single job means I’m on track to take the top spot of the rankings before the year is out, which is interesting, but ultimately not a huge concern. Because if I refine my process even further, and decide to utilize a little bit of time travel again, all that particular progress will be undone. Everything I’ve physically done in the game with need to be done again, because as any fan of time travel knows, a common trope is that you can only take your knowledge backwards, and continue to build on that. 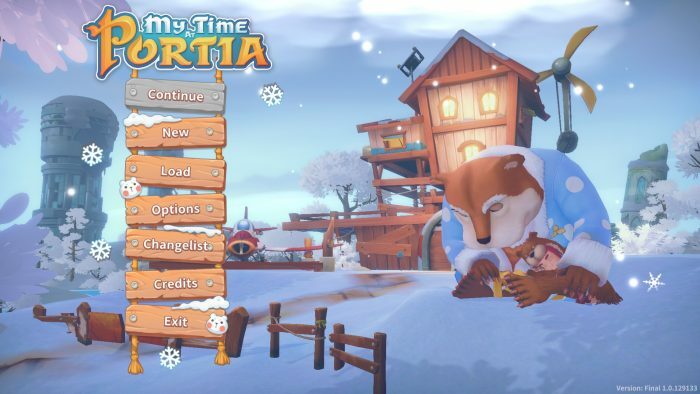 I’m confident I could further refine my process of navigating My Time at Portia, but my time is diametrically opposed to their time. I can streamline, but I am locked into their pacing. I may never reach the desert before I’m meant to reach the desert. And that pacing is grating. It’s everywhere I look in that game. There are more than fifty characters to meet, befriend, and potentially date in My Time at Portia, and each of them has a relationship meter represented by a series of ten hearts. You can talk to them once a day, and earn a single Relationship Point. You can get a skill that upgrades that to two points per conversation. You can also play Rock-Paper-Scissors with most of them, up to three times a day, which can award you between one and three points, in total, depending on the character and the results. You can also spar with some of them, between one and three times a day, which also earns you a small number of points. Earning the first heart takes one hundred points. Across fifty plus people. While fighting what seems like some sort of decay rate that drops your levels if you don’t have the time to talk to people on the regular. Which, even if you ignored the rest of the game, you wouldn’t be able to do successfully in the span of a single in-game day. Everything takes time, and some of it is frustratingly long amounts of time, while other parts need too much time but there just isn’t enough. Time, time, time. Everything takes time. Another common trope of time travel is the idea that there’s only so much you can make happen, and that if you push against time, time pushes back. In similar games, that doesn’t really seem applicable. In Stardew Valley, for example, you can optimize the hell out of what you do, to the point that by the end of the first year you own everything, have every upgrade, and are rich beyond your wildest dreams and married to the love of your life. In My Time at Portia, I’m a year in, for the second time, at roughly the same place I was the first time, and no closer to being friends with basically anyone, let alone marrying them, and I can’t even afford to expand the land around my workshop to upgrade my house. But I think about time travel a lot. Maybe starting over again will help. A third pass through the loop, armed with even more knowledge and optimal paths. The thought is enough to keep me playing, which I guess means the hook worked. Being trapped in a repeating loop, trying to Groundhog Day your way to success — another of the big time travel tropes, presented in full because of My Time at Portia. I wonder how many other people think about time travel this much. This review is based on a Steam code sent to SideQuesting by the publisher.